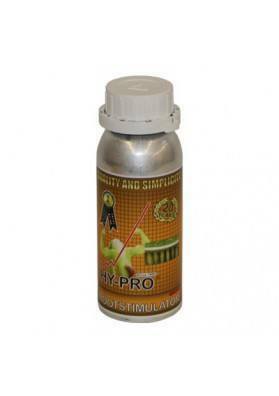 Terra from Hy-Pro is a complete fertilizer for Marijuana crops in soil, pots or substrates. It gives all the needed nutrients and trace elements resulting in lush plants. Use it during the entire life cycle of the plant. Terra from Hy-Pro is a complete fertilizer for Marijuana crops in soil, pots or substrates, both in the garden and in growing rooms. Earth from Hy-Pro provides to your plants all the essential nutrients like nitrogen, potassium and phosphorus, as well as trace elements, vitamins and amino acids, so they can grow healthy and strong thus offering the best outcomes. The farming lands contain nutrients during a limited period of time. Hence, the time comes where some deficiencies start to happen. In order to avoid this consequence on the development of Marijuana plants, a complete fertilizer like Terra must be used. This fertilizer provides to the farming land all the nutrients available for the plant so it can absorbe everything it needs. The unused nutrients instead of being wasted enrich the substrate. Add 5ml of Terra per liter of water always at room temperature to avoid modifictaions in the pH and use it during the entire life cycle of your plant.